As America took shape around the late 1700s, a large majority of immigrants with distilling knowledge arrived from Western Europe and beyond. Armed with these skills, the settlers began using European distillation techniques on New World crops and a new category of spirit was born: American whiskey. Entrepreneurs, like George Dickel (who arrived from Germany in 1844), rejoiced when they discovered the fertile valleys of North America, favourable to spirit production. Establishing himself in Tennessee, Dickel declared it, “a distiller’s dream”, due to the native limestone shelf providing sweet, pure water and the surrounding flats yielding ample grains. The burgeoning industry encountered its first major hurdle when, in a bid to recuperate the debt accumulated in the American Revolution, the US Government introduced a Whiskey Tax of 1791. This led to a farmer’s revolt (the Whiskey Rebellion) and caused many to relocate to tax-friendly Kentucky and Tennessee, where federal laws did not yet apply. When Thomas Jefferson lifted the tax in 1802, the industry really grew; whiskey production flourished nearly anywhere that had good grains and water. Distilleries with access to rivers or ports had easier distribution routes and widened their customer base considerably. Following the Civil War, the industry was recovering and distillers were increasingly concerned with protecting their product and assuring quality, as some bonders and retailers added rogue ingredients for easier profits. To stop this, distillers lobbied congress for the Bottled in Bond Act of 1897 which established compulsory regulations for producing bourbon. In 1920, Prohibition was passed and all spirit production came to a halt. This marked a dark chapter in American whiskey making, with the market continuing to suffer through World War II forcing many family-run, independent distillers to close permanently. The current resurgence of popularity for the industry was made possible by foreign demand (and investment) and the committed efforts of a select few in North America. 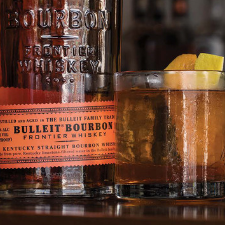 Many of these, like Thomas E. Bulleit Jr., who inherited a fifth generation high rye content mash bill, were family members aiming to resurrect family legacies of the golden era. 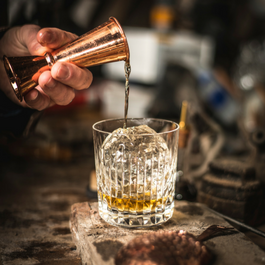 A steady increase on production saw the category raise itself again and in 1964, an act of congress declared bourbon as, “America’s Native Spirit”, officially cementing its place in US culture. The central factors in any American whiskey production are: the grain, the yeast strains, the new white oak barrels and the maturation technique(s) used. The United States stipulates that all American whiskey must be made from a fermented mash of grain, with more explicit requirements for each category. Bourbon, rye and Tennessee whiskey are the most common, but other grain-based whiskeys, such as corn and barley, are gaining popularity, too. To begin the process, a distiller must establish a recipe of different grains, or ‘mash bill’, to use. This generally consists of a high percentage of corn (the law states bourbon must contain at least 51% corn, but most use between 65% and 75%) and other grains, like wheat, rye or malted barley. A distillery will grind the mixture of grains and mix with water to form ‘grist’. From here, the coarse mash will be heated to extract the enzymes in the grain and encourage the breakdown of starch into fermentable sugars. Distillers then cook the mix, adding different grains at corresponding temperatures; corn is exposed first, mixing with water before the temperature is dropped to introduce wheat or rye. Barley enters the fold last and at the lowest temperature. 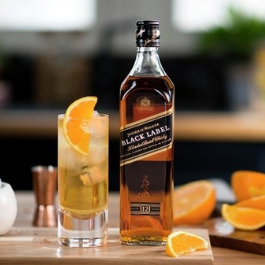 Globally, whiskey makers are likely to blend these different spirits following distillation; Americans, however, are the only ones to cook assorted grains together. Another key difference is that, after cooking, others will separate the sugary liquid (referred to as ‘wort’) from the solids and send the wort to fermentation. In American whiskey, the entire mash (solids included) is sent to a vat where the yeast and ‘sour mash’ is added for fermentation. 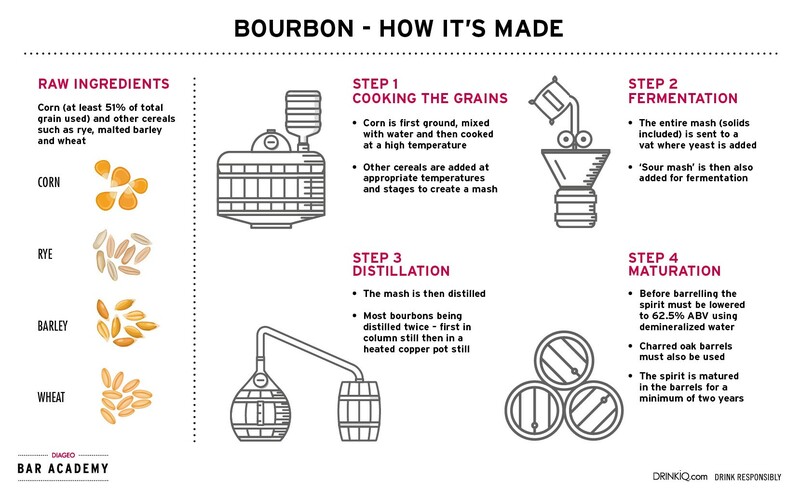 Sour mash is the leftover mash from previous distillation(s) and is quintessential to American whiskey (it is the norm to incorporate this in production, especially for bourbon), with the term derived from its sour taste. The mash is then moved to distillation, with most US whiskey treated twice. Typically, most distilleries will employ a column still first before using heated copper stills to remove fusil oils and further impurities. The resulting new spirit, normally around 70% ABV and often referred to as ‘white dog’, is then transported to the cooperage to instigate the barrel aging process. At this stage, Tennessee whiskey is required to undergo charcoal filtration in the Lincoln County process. By law, the new spirit must be lowered to 62.5% ABV using demineralized water before entering a barrel. The limestone water typically used in Kentucky acts as a natural water filter, adding minerals to the mash and removing iron salts during production. The type of barrel selected for aging has a substantial impact on the flavour profile and colouring of the finished liquid. US standards stipulate the oak barrels used must be charred (available in various degrees, from lightly to deeply charred) and this imparts a range of wood-based, caramelized notes and attributes the brown tint to the final appearance. Barrel storage facilities, also referred to as rickhouses, vary in size and function. How they interplay with nature to control temperatures play a large part in their design. Heat, or a lack of it, is hugely influential in the maturation process and contemporary distillers increasingly seek to manipulate it to their advantage. With warmth, the barrels wood expands and absorbs the whiskey inside. In contrast, when temperatures drop, the wood contracts and forces out the whiskey; along with other factors, this contributes to evaporation and the loss of whiskey from a barrel, affectionately referred to as ‘the Angel’s Share’. Bourbon – the most popular form of American whiskey, bourbon consists of at least 51% corn and uses a mix of rye, barley and wheat in its mash. 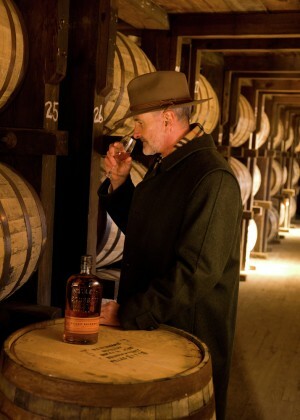 Aged in charred, new oak barrels for at least 2 years; typically comprised of sweet notes of vanilla, caramel and wood. Rye – this is the grain with a kick; using rye imparts a peppery, bold profile on the whiskey and will add density to the final body. Must be made with at least 51% rye, with the rest a mix of corn and barley; it characteristically hosts spicier notes and although it can be made anywhere, is usually found in the US or Canada. Tennessee – hailing exclusively from Tennessee, this must include at least 51% corn and makes up the rest with barley, rye or wheat. This whiskey follows a similar process to bourbon but must be charcoal filtered and, as a result, is frequently sweeter in flavour and lighter in body. 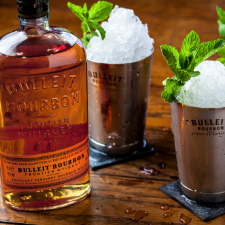 Bulleit Bourbon & Rye whiskeys stay true to their Kentucky roots with spicy, bold flavours that come from ageing the softly amber coloured liquid gently in small batches. Crown Royal is the number one Canadian whisky in the world, and the sixth largest spirits brand in the United States. George Dickel Tennessee Whisky is produced in Cascade Hollow using Cascade Springs' fresh water and some special and unique techniques resulting in a handcrafted, premium drop.